Whatever printed materials you require, we here at Mainstream Print pride ourselves on tailoring our services to meet your individual needs. Whether you are taking your time to design the perfect resource or need something turned around quickly, we are always happy to help. Large-runs of Brochures, Leaflets, Manuals, all printed to a high-end quality through our extensive range of Litho printing capabilities. If you’re after something that’s more cutting edge, perhaps a little lamination or spot UV varnish is required, or how about die-cutting, embossing or some special inks? At Mainstream, we offer a complete range of additional print features. Ideal for fast turnaround, you can stay competitive and stay ahead with the latest digital print technology from Mainstream Print. 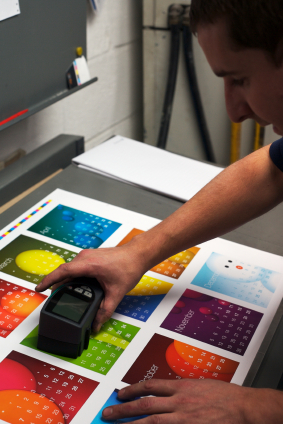 We’ll print as many or as few items as you like – colour or mono. It’s unbelievably affordable and convenient. Ideas can go from mind to market at a speed and cost unimaginable a few years ago. Flyers, Booklets, Leaflets and Business Cards are ideal for Digital printing, why not see what we can offer? If you’re thinking bigger is better, something to catch the eye, our wide range of Large Format printing options are surely what you’re after. From Hanging Banners to Banner Stands, and Display Units to Shelf Wobblers, we offer the complete range of large printing. Effective design gets you noticed, but more importantly it gets you business. From a simple logo to a full corporate image, you can trust Mainstream Print to achieve contemporary graphic design that grabs the eye, catches the imagination and meets your budget. Also, as both the design and print take place under one roof, you’re always guaranteed the very best print service at a competitive rates. When you have had your superb brochures or leaflets printed by us (or by another print supplier! ), why not let us take care of the whole project from then on in? We can comfortably insert your literature into any format you can think of such as poly bags, envelopes, or with postcard overprint, and send directly to mail. Every item will be personalised and addressed to your desired recipient, and is guaranteed to land on the doorstep delivering your message direct to your prospective or existing clients. To find out more about any of the services we offer please do contact us today on 0121 355 0518.